Your garage door may seem to be working exactly as it should be, but beneath the surface, a number of problems may be brewing. Parts tend to wear down with repeated use and safety issues can develop over time. That’s where our garage door maintenance service comes in. Our technicians at Garage Door Repair Lilburn can help with all of your maintenance needs and will help to ensure your door stays in good working order for longer. Our technicians will work with you to identify any issues that may have developed with your door and will explain what needs to be done to resolve them. Our team maintains the highest professional standards possible and will treat your home with the respect it deserves each time they attend your property. There are many little things that can go wrong with a garage door, so it pays to have people who can spot the small things before they develop into major issues that might cost a lot more money to resolve. Our technicians have an exceptional eye for detail and will examine every aspect of your door to ensure no minor niggles go unfixed. 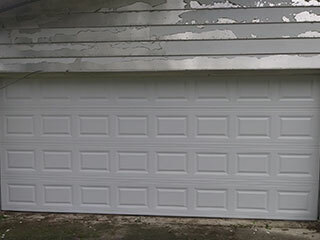 Over time your rollers, cables, springs, and panels can cause your garage door to wear down. Regular maintenance will help them to last longer, but occasionally the time comes for them to be replaced. We are able to help with this as we have access to quality parts for all makes, brands, models, and types of garage door. Your technician will be able to spot signs of wear and tear that could cause problems for your door later on. Our garage door maintenance service aims to save you money by helping you get these worn parts fixed so they don’t cause major problems later on. We can make any adjustments as necessary and apply lubrication to keep rust at bay. We offer a service that can’t be beat and all of our technicians are well trained and extremely capable. Get in touch today if you want a service that will keep your door in great condition for as long as possible!